First post in over 4 months. It’s been a while, I know. But my hands (and heart) has been full! Finding the time to write just doesn’t come easily. I’ve even thought about discontinuing my recipe sharing for a while. But then a reoccurring need pops up when I’m a work: recipes and ideas are the top requests for my clients! So here we are, I’m back and sharing recipes that are centered on easy, fast, and family friendly meals + snacks. This was always the goal, but it’s even more so now. 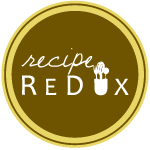 Today I’m sharing a recipe right out of my own kitchen and meal plan from this week. It was meant to be a quick one dish dinner either on a sheet tray or in a skillet. I had actually prepped it over the weekend and stored in a glass dish & planned to use for a dinner early in the week after a busy and tiring work night. Then we could eat off of it for a few lunches & dinners. One night though we decided to eat leftovers//fend for ourselves with what’s in the fridge (happening more and more these days) and also discussed what we’d do the next night with the intended-fajita-dish. “Why not use the slow cooker?” said the hubby who last time I did this he had some opinions about how the meat should be cooked differently next time…?? Works for me though! I could toss everything in the slow cooker dish, store in the fridge overnight and turn it on in the am. A great option for a night of leftovers before so you don’t feel like you’re cooking or prepping two meals at once. Wouldn’t you know despite my planning I forgot to do all that til the next am! So I’m rushing to do so before leaving and fortunately it was easy peasy since I had it all prepped ahead of time! That’s one of the slight tricks of slow cooking, it can still be challenging if you’re working because you gotta throw it in and turn it on before you leave. Sounds easy enough, but it still takes some thought and planning ahead. Turn on low for 8 hours and walk away! Shred with two forks when you get home or just before dinner time. Serve with all your favorite fixins: cilantro, lime, & avocado or guacamole, etc. Wrap in lettuce wraps or whole grain tortillas (Hola Nola whole wheat or corn are my faves)! I had some extra cauliflower rice that I added to mine! This is family friendly meal in the fact that it’s modifiable for each person pretty easily without cooking separate meals. The hubby and I both eat the meat & veggies, our toppings & grains usually differ. He makes an extra pot of saffron rice for himself and uses a regular white flour tortilla. I’m not saying that’s what I recommend, but this is how we take one meal and fit two + people. LEM (my 3 year old strong willed daughter) doesn’t really eat the meat- she’s practically a vegetarian, but we encourage the cauliflower rice (or blend it with saffron rice that she likes. I would do brown rice if I could but that’s too many additions and modifications to one dish for me to stay sane and likely for you too) and I’ll make her a whole grain (using 100% whole wheat tortilla) quesadilla using 2% cheddar + part skim mozzarella shredded cheese. So all in all everyone eats roughly the same thing, but with a few accommodations for palates and preferences. It can be done my friends! Pack it up to serve for lunch the next day! Got all the components: protein, veggies, plant-based fats, and whole grains. Check, check, check, and check! And something hydrating as well without cals + sugars but doesn’t have to be flavorless! The next morning I decided at the last minute to skip the tortilla (just for time + logistics that day at work) and added a “dessert” for myself in the form of the Greek yogurt instead. Instead of whole grains here, I’m still getting in good for you carbs, but adding in extra protein, probiotics and a dessert-like flavor with no added sugars! The Dannon Oikos triple zero has a similar texture to Yoplait, if you are used to loving that brand, but it’s made with stevia. Hope you learned something here about how to plan, adjust, balance and satisfy your cravings all while eating foods you love. Of course, I hope you add this to your recipe box and try it soon! I’d love to hear your thoughts!